Criminal law covers crimes, prosecution and defense. According to the rules and statutes written by Congress and state legislators, dealing with any criminal activity that causes harm to the general public, with penalties. It also includes decisions concerned with courts that define and interpret criminal law and regulate criminal procedure, in the absence of clear legislated rules. Criminal law encircles the criminal procedure employed when charging, trying, sentencing and imprisoning defendants convicted of crimes, as well as with the regulation concerning how the suspects are investigated, charged and tried. Criminal law is typically imposed by the government. The state, through a prosecutor, initiates the suit. 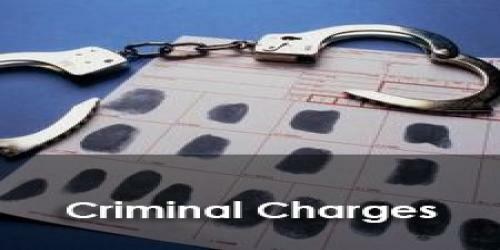 Criminal Defense law covers the legal area of defending against a criminal charge. Some subcategories of criminal law include Substantive Criminal law; Criminal Procedure; and the special problems and issues arising in administration and enforcement of criminal justice. Substantive Criminal law deals with the “element” of the law. It pinpoints what the crimes are, their classifications (i.e. petty crime, misdemeanor, felony) and how they should be charged, as well as their potential penalties. Which courts have jurisdiction over what cases and who will be responsible for prosecuting them is determined by criminal statutes. Criminal Procedure picks up where substantive criminal law leaves off. It deals with the enforcement of these laws. Most notably, it addresses how an individual accused of a crime may be handled, dealt with and prosecuted, especially with regard to the individual’s constitutional rights. It also covers rules of evidence, witnesses, investigations and the like. When someone demands their due process, evokes his right to silence, to a speedy trial or to legal representation, this is part of the process of criminal procedure. If you are experiencing any Criminal Charges, Contact a lawyer immediately here.